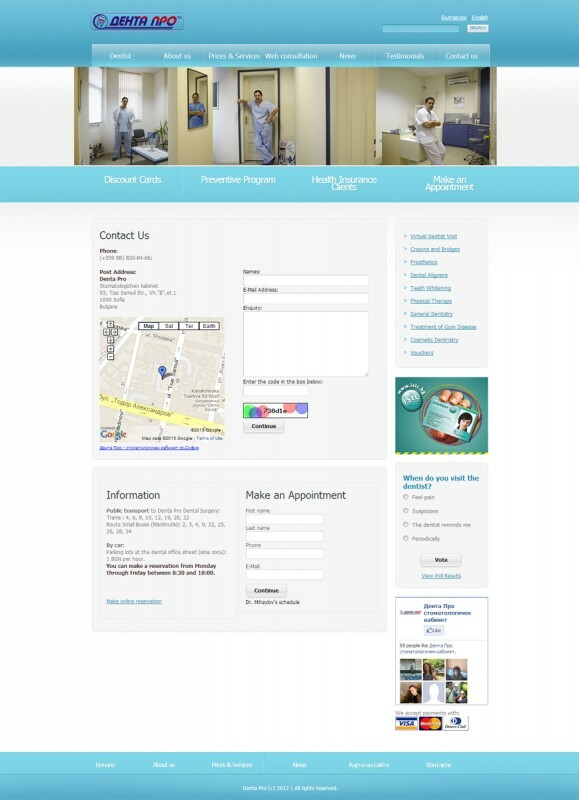 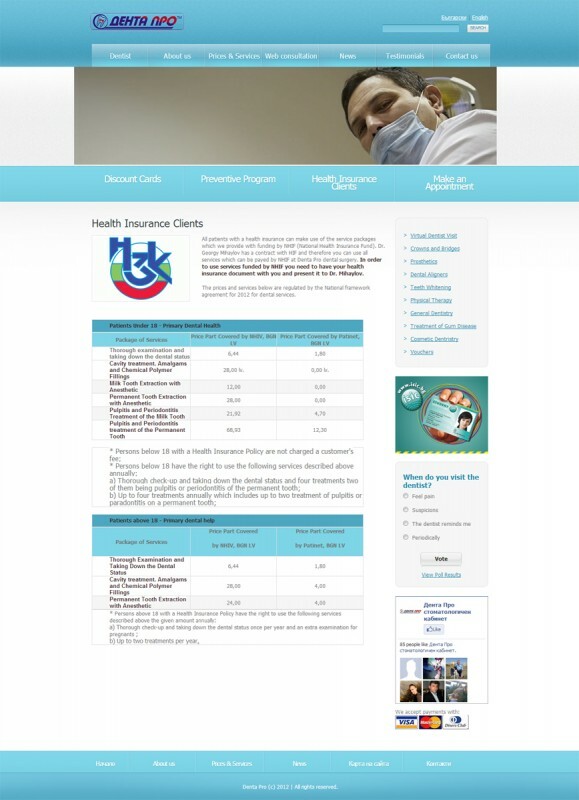 The website is introducing services of dental practice Denta Pro. 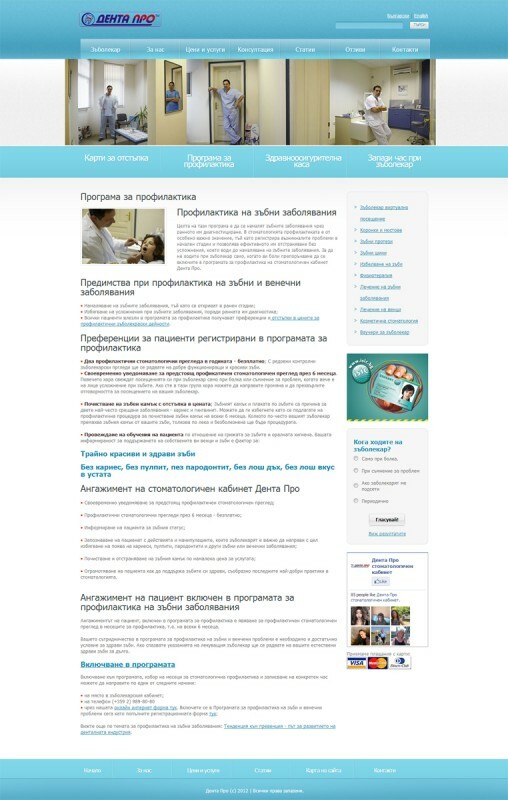 Fully dynamic website. 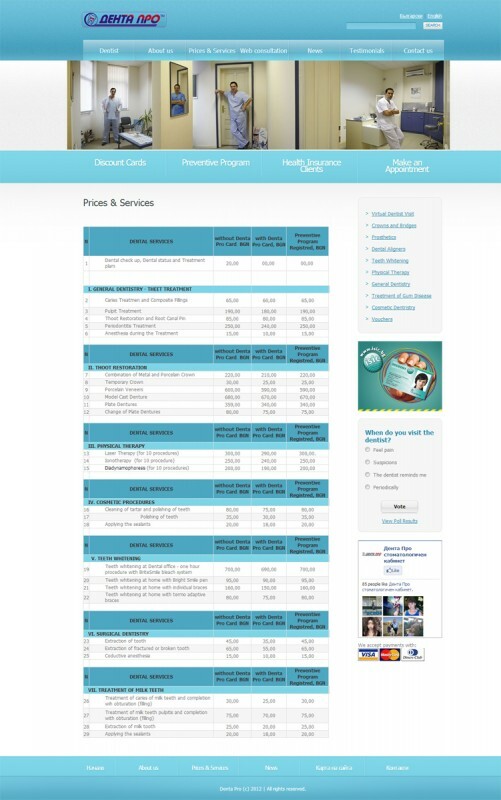 - Registration form for visitors for additional services - vouchers, discount cards, etc.